Urban Transport Issues Asia: Challenges for Singapore's public transport? I was invited to speculate on scenarios for Singapore's urban transport future for a seminar last week. Here is one aspect of what I said. In the period from the 1970s to 2000 or so Singapore's urban transport policies have been remarkably successful in slowing the growth of vehicle ownership, restraining private car usage, improving the bus system, building a Metro (the MRT), and create transit oriented land-use patterns (eg see some effusive praise for the Singapore model here). The Government already plans a gradual shift of demand management away from using high fixed costs (especially the Additional Registration Fee, ARF, and the Vehicle Quota Scheme, with its Certificates of Entitlement or COEs) towards a greater reliance on usage charging, especially with a revamped, more comprehensive version of Electronic Road Pricing - ERP Mark II. Car-like services that are primarily charged on a usage basis are significant too and have growth potential. Taxis account for over 10% of daily trips, and car-sharing is still small but growing fast. In many ways, this shift towards usage-based pricing is a good thing and most transport policy makers would support it. But it is also likely to pose some unanticipated challenges to public transport. that very few people with access to cars or who can afford to use taxis often ever use public transport. I am basing this speculation in part on the fact that they seem to make surprisingly little effort to market public transport to people who can afford alternatives. This is not to say that the authorities are not trying to improve public transport. They are. The expansion of the rail system seems to be the primary strategy. Efforts through TransitLink to integrate the system would be the envy of many cities, although they seem to have stalled in recent years and still fall well short of best practice. Bus priority lanes are widespread - but appear not to have expanded in recent years. But to be fair, one small sign that the operators themselves may be changing their assumptions is the launch and subsequent expansion of SBSTransit's FastForward limited-stop bus services recently. If it is true that operators are making the two assumptions above, it is not so unreasonable! I don't have data on this but anecdotally at least, it does seem that surprisingly few members of car-owning households use public transport regularly, especially not the buses. And of course, Singapore's motorists have more reason than most to try to 'get their money's worth' from their expensive vehicles (the average car here travels a surprisingly high 20,298km per year according to the LTA). However, the shift to usage-based charging (among other trends) will mean that such assumptions will become less and less accurate. An increasing number of people will have more transport mode choice. For those who have a car already, high usage charges will prompt them to consider other options for some trips. Those who do not own a car will be less and less 'captive' to public transport (as the taxi industry, car-sharing, and other on-demand services expand). Increasingly public transport will face direct competition. The last two years might provide a prelude of what to expect. The price of COEs has decreased significantly since 2003 (mainly for market reasons, not yet the impact of policy) and other fixed taxes have dropped. So cars are cheaper than they have been since the 1980s. At the same time usage costs have risen, with further small expansions of the network of ERP gantries and high petrol prices eroding the savings from lower COE prices and taxes for typical car usage). So with this slight shift of costs from fixed to usage-based costs, are there any signs yet that I am right? Perhaps. 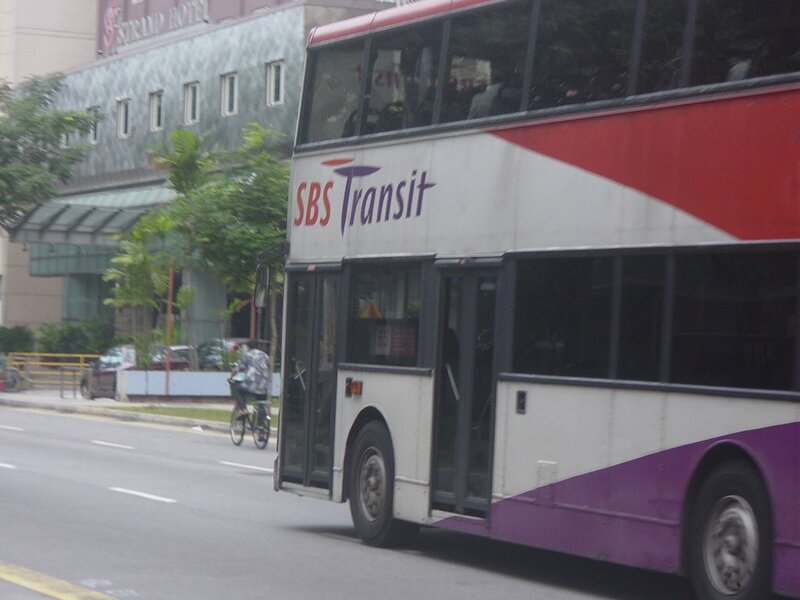 The Straits Times reported on 27 Nov 2005 that bus passengers are increasingly dissatisfied (especially with long waiting times and overcrowding (based on the latest bus passenger satisfaction survey by the Public Transport Council, which oversees service quality and fares). In addition, 2004 data on mode choices suggest that the bus system especially is having problem staying attractive and showed that public transport trips actually dropped between 1997 and 2004. If my speculations are correct then public transport customers in Singapore will become more and more demanding as car costs shift even more to a usage basis. The pressure to improve public transport will hit the politicians too, since the political viability of increasing reliance on usage pricing depends on making the alternatives to cars sufficiently attractive. It will be a challenge to start treating car owners as potential customers and its existing customers as potential defectors to other transport modes. It won't be easy and, for reasons that I may explain some other time, it may require significant changes to public transport regulation and funding approaches here. But, since failure is not an option in the dense urban environment of Singapore, my prediction is that public transport policy makers will have no choice but to rise to this challenge. Which will be a good thing for public transport customers. Interesting perspective... but did not "Park and Ride" fail some years ago? Why does Singapore not have the relatively high public : private transport useage as compared to other big cities like London or New York, where even executives and professional take the tube as a matter of course (as compared to say the "car-owner" class in Singapore and all that entails)? Could it be that our traffic problem just isn't bad enough to force a switch? Could it be that for every public transport innovation there might be corresponding enhancements that support car users (parking space, new highways, national landmarks removed to widen roads etc)? Just wondering what the comparative picture might be.